Tulisa had a pavement bust-up in Newcastle with a blonde clubber who dared to speak to her footballer boyfriend, it has been claimed. The former N Dubz star, who was in the city to support her footballer boyfriend Danny Simpson during a match, reportedly had the bust-up with Sarah Ashton after she shouted his name. Onlookers said Tulisa screamed abuse before bouncers hauled her away and led her to a taxi. Dental nurse Sarah, 25, who was out with her friend, former Big Brother contestant Alex Rose, has claimed that the ‘Female Boss’ turned nasty and became abusive to the pair outside Tup Tup Palace. 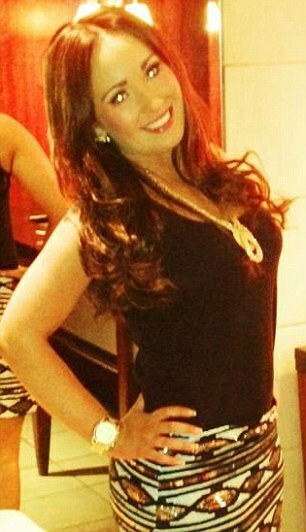 ‘Tulisa seemed to have so much anger, I don’t know what was wrong with her. It was very upsetting,’ Alex told The Sunday Mirror. According to the reports, the singer became angry with the girls after they started shouting in the couple’s direction and became confrontational. The couple are then reported to have returned to Danny’s pad after hopping into a taxi outside the club, which is well-known as a hangout for footballers. Sarah originally made the claims about the popstar on her Twitter account, while a number of people seemed to corroborate her story. 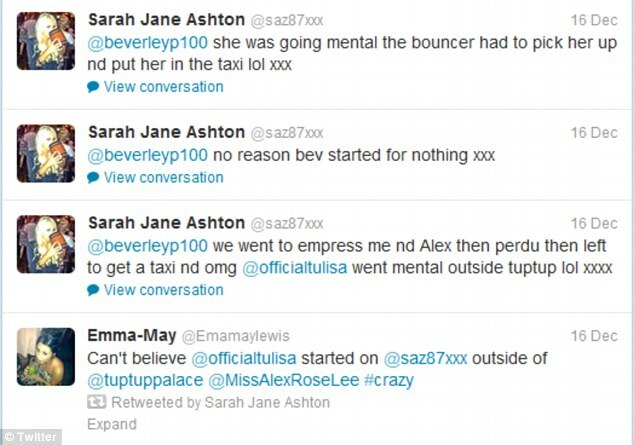 ‘omg @officialtulisa went mental outside tuptup lol xxxx,’ she wrote. ‘Wow just seen Tulisa go crazy outside of TupTup!! Very shocked! !,’ she wrote. What a hideous cow. What is the medical term for that facial deformity?